The 6C education model is designed to be delivered in any school and consists of Childhood, Class, Club, Culture, Civics and Community. Our outcomes can be achieved for children every day. The purpose of the Childhood domain is to address the social, emotional, intellectual and physical development needs of every child so they are as prepared for formal schooling as mainstream children. The domain is relevant to schools where students start school behind their mainstream peers and remain well behind with comparative residual development gaps. This domain delivers formal learning components in the Kindergarten and pre-Prep day with literacy (starting with oral language rotations) for twenty minutes per day and music, listening and numeracy activities for thirty minutes per day and programmed parent support. The purpose of the Class domain is to ensure all students are at or above grade level in literacy and numeracy and are self-actualised scholars engaged in the wider world so they are academically prepared for success in a high-quality secondary school. This domain is relevant to schools where students are not meeting national literacy and numeracy benchmarks or have stagnated low literacy and numeracy results. level do an additional one hour per day (second reading program). Students at or above grade level in the upper years may, where appropriate, do less to accommodate longer time in Club or Culture to help prepare them for secondary school. The purpose of the Club domain is to ensure students develop their musical, artistic educational and sporting talents and passions through formal learning and performance. This domain is relevant to schools where students have limited access to enriching activities in their school or home life. This domain is delivered in an extended school day, for a minimum of four hours per week. Our Culture domain provides students with a rich understanding of their culture and history of family, community, country and people. They develop oral and written mastery of their own traditional languages and are fluent in ICT and digital media. This domain is relevant where students are Indigenous or schools seek to prioritise the academic study of First Nation Australians. It is also suited to schools embracing ICT and digital media through rich learning. The domain is usually delivered in the extended school day, for a minimum of three and a half hours per week. The domain can also be adjusted to accommodate other cultures. The purpose of the Civics domain is to ensure students understand their multi-layered identities and those of others in their community, develop an appreciation of diversity, civic ideals and practices that are critical to civic engagement. Further that they have the tools and opportunities to practically engage in their local communities and broader communities beyond and be able to ‘orbit’ among them. The program is most relevant to groups who are marginalised from mainstream contexts. The domain is relevant to schools where students come from geographic, ethnic or socially marginalised backgrounds or conversely want to engage with such groups. This domain delivers formal learning components in the classroom but also has strong features for field trips and excursions with emphasis on cross cultural and social engagement. 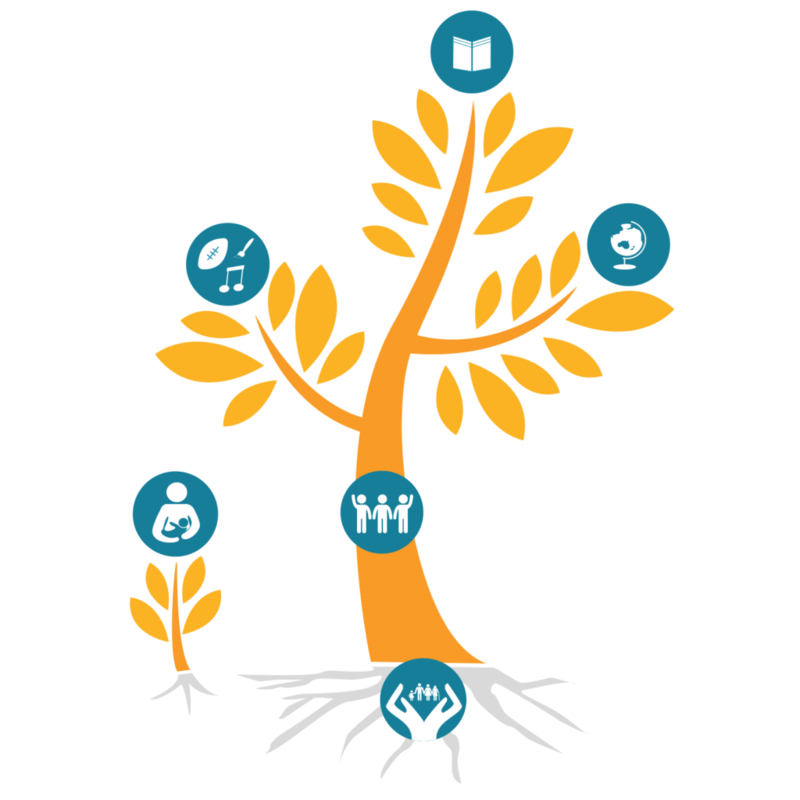 The purpose of the Community domain is to support families to engage in every child’s education, health and well-being, so that students regularly attend school, are school ready and successfully transition into high-quality secondary schools at the same rate as mainstream children. This domain is relevant to schools in communities where students are not school ready, have poor attendance and are transitioning to secondary school with significant development gaps and lower secondary school completion rates. This domain is delivered through programmed student and parent support activities (that occur throughout the school day and extended school day). Attendance levels have turned around and are still improving. Some students struggle but we are working with their parents to make sure they turn up and don’t make excuses. When the children are at school, they are focused on learning.